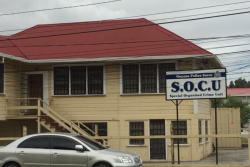 The police say they are investigating the murder of Celwyn Allen, 35, unemployed of 1342 Cummings Park,` E’ Field Sophia and also the wounding committed on the deceased’s girlfriend Nalydiah Henry who is presently admitted in a stable condition at the GPHC. The incident occurred about 19:30h last night at `C’ Field Sophia allegedly committed by a male resident of Sophia who goes by the Alias “Kevin “and who is currently being sought. Enquiries disclosed that the victims were attacked and stabbed multiple times by the suspect who was armed with a knife. 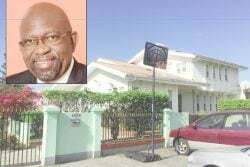 The police say it was reported that Allen shortly before the incident, interfered with a friend of the suspect who rebuked him and not satisfied inflicted the fatal injuries and also wounded who went to his assistance. 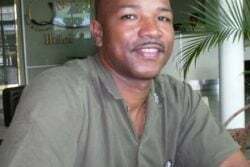 The victims were rushed to the hospital by a police patrol where Allen was pronounced dead on arrival.